Left image: Camera model: Nikon D4, Exposure time: 1/1000s, Aperture: F4, ISO speed: 1600, Lens: 500mm Telephoto. 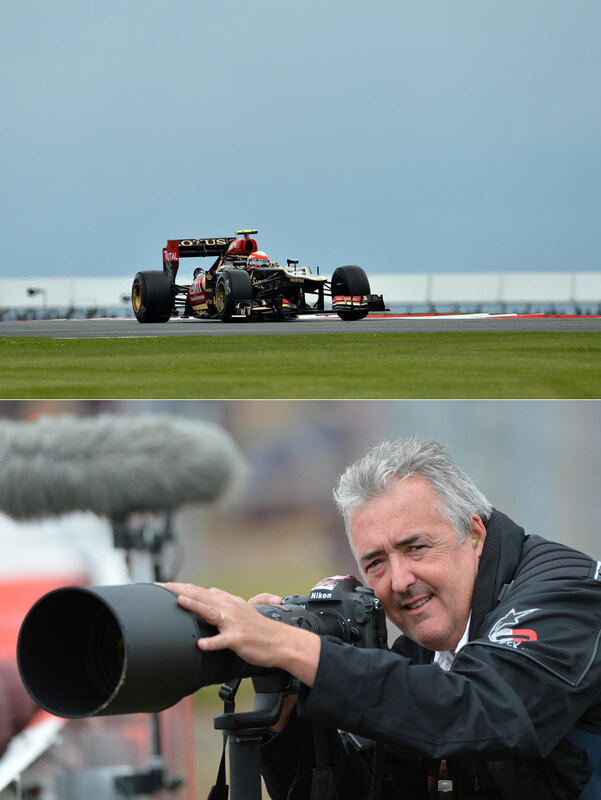 There was a lot of scaremongering going on among the photographers ahead of the race weekend that pit lane access would be severely limited. Some were saying six passes, some were saying no passes and obviously we were a bit worried that things were being decided behind our backs. On the Thursday they told us there would be 25 tabards for pit lane access handed out so it wasn’t the end of the world. We had a meeting with the FIA to explain what it entailed and why they did it, so first of all we thought let’s get our names on the list but we didn’t know exactly how much access we would get. We ended up getting one or two people in each session so it didn’t really affect our job, in fact we were quite happy because there were less people in the pit lane! It’s now policed properly so people can’t get with a pocket camera because of a favour from their mate or because they snuck through a garage. 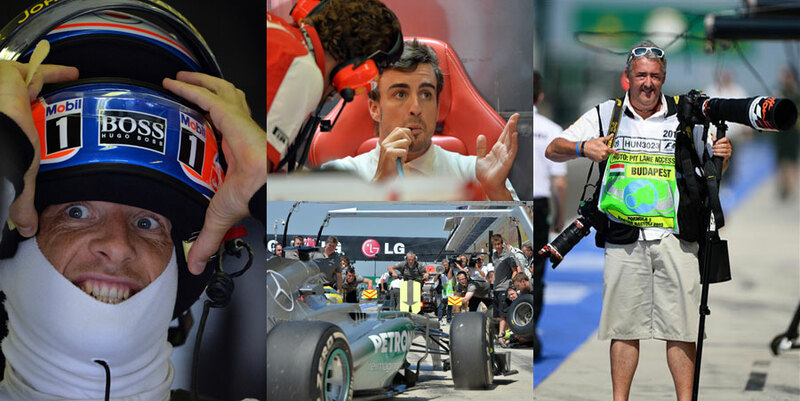 But you can see here that we take quite a few pictures while we’re in the pit lane of drivers in their garages and with their helmets on, we take roughly 25% of our photos in there so it’s quite a large proportion of our job. Camera model: Nikon D4, Exposure time: 1/1000s, Aperture: F7.1, ISO speed: 200, Lens: 500mm Telephoto. 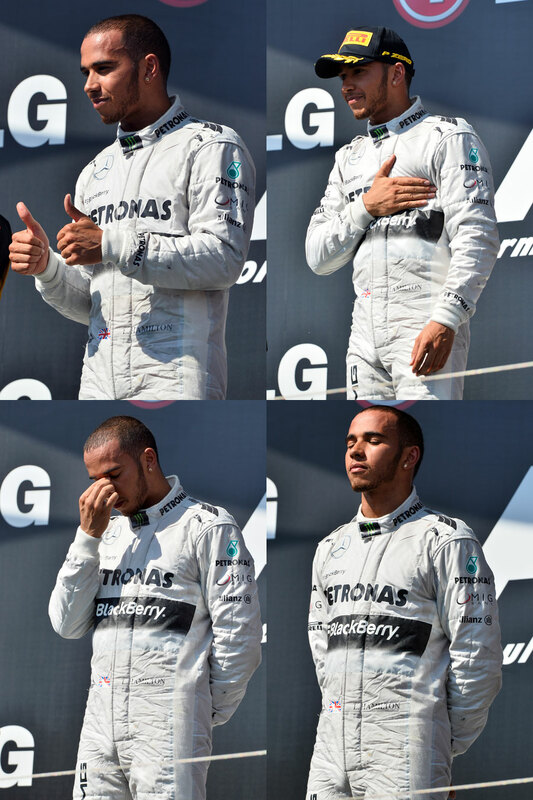 Lewis Hamilton supposedly dedicated the race win to his ex-girlfriend Nicole Scherzinger and there are my four shots of his emotions on the podium. He kept signalling down to the team as if to say ‘This is for you’ and it looked like he was fighting back tears at one point. 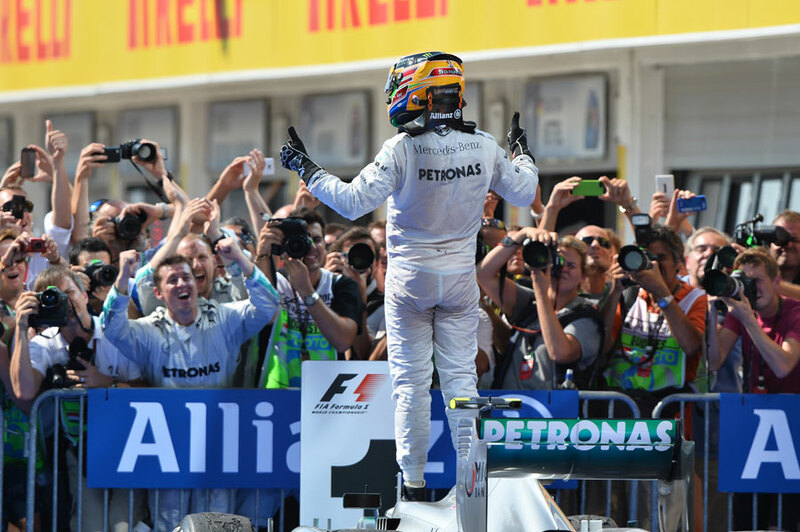 He was quite emotional and quite weird watching him on the podium. Obviously last year he had Nicole down in the pit lane looking back up at him so maybe that triggered it. Now he just has his manager Tom Shine with him and he flies around in that private jet on his own. The dog wasn’t at this race, and I don’t think it should really be at any races. 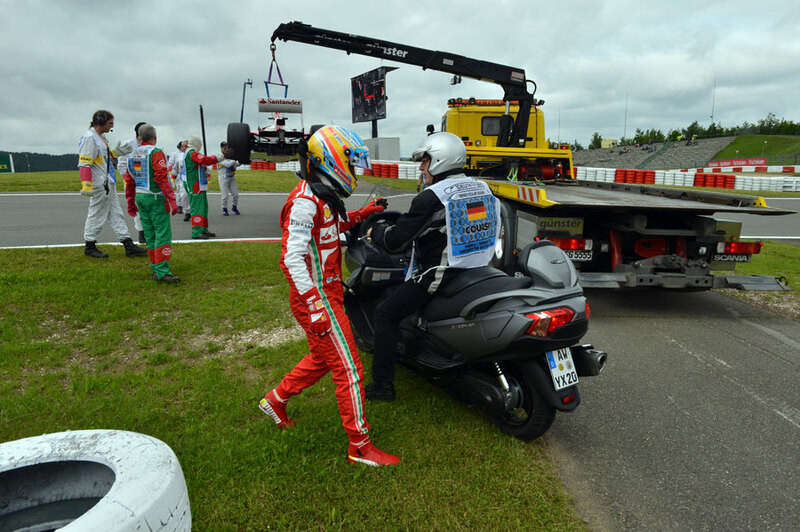 Outside the circuit is fine but because he has his motorhome inside the circuit at most races it doesn’t work. 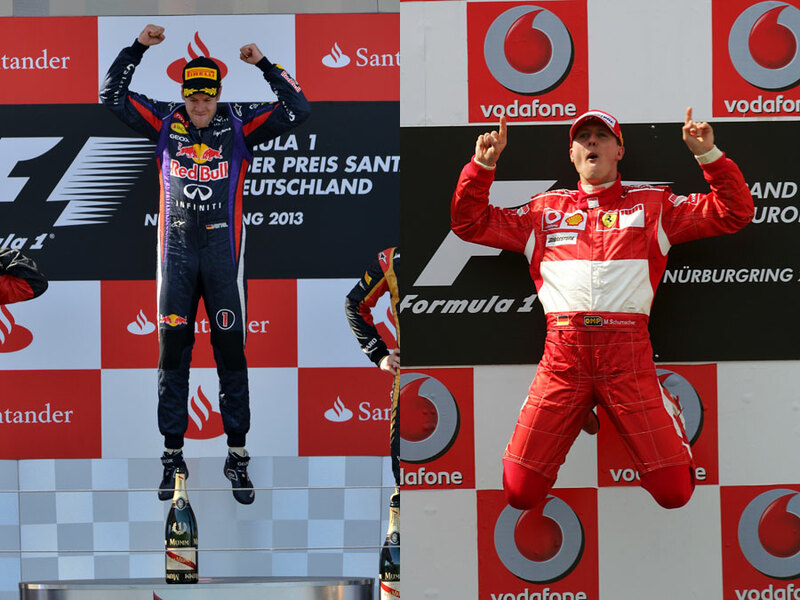 Anyway, it was a weekend of mixed emotions for him and these podium pictures tell a bit of a story. Camera model: Nikon D4, Exposure time: 1/640s, Aperture: F11, ISO speed: 400, Lens: 24-70mm Zoom. 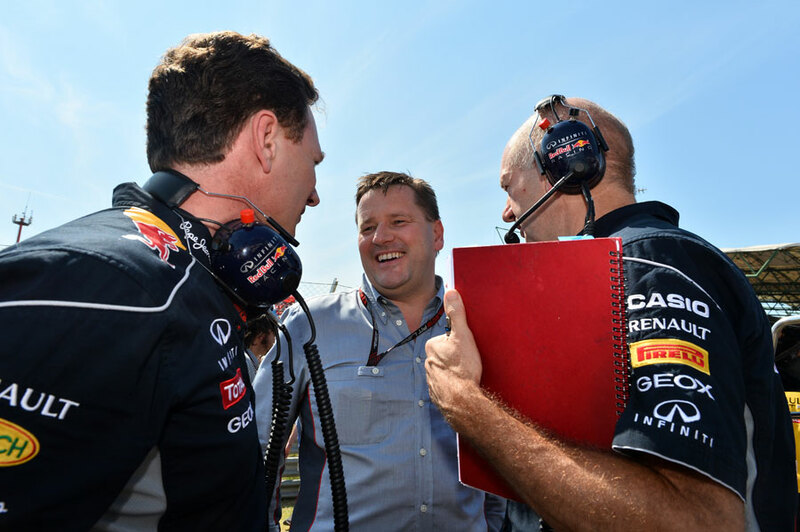 This was a nice photo of Christian Horner and Adrian Newey joking with Paul Hembery of Pirelli. 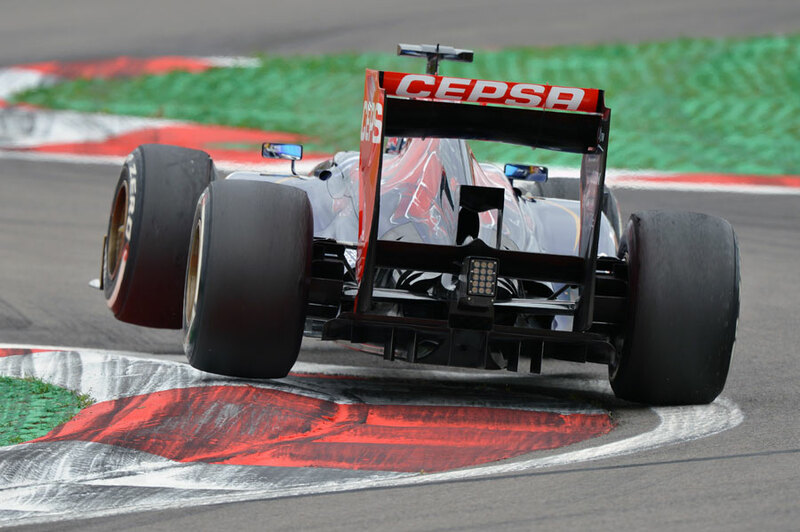 Obviously the tyres were a big talking point this weekend with the return to 2012 structures and the recent test in Silverstone. In the end it looked like Mercedes came off on top so maybe that test they did back in May did help somehow or maybe they just got the tyres sorted on Friday. I think everyone thought Vettel would be all over Hamilton and push ahead in the pit stops but it didn’t quite materialise. 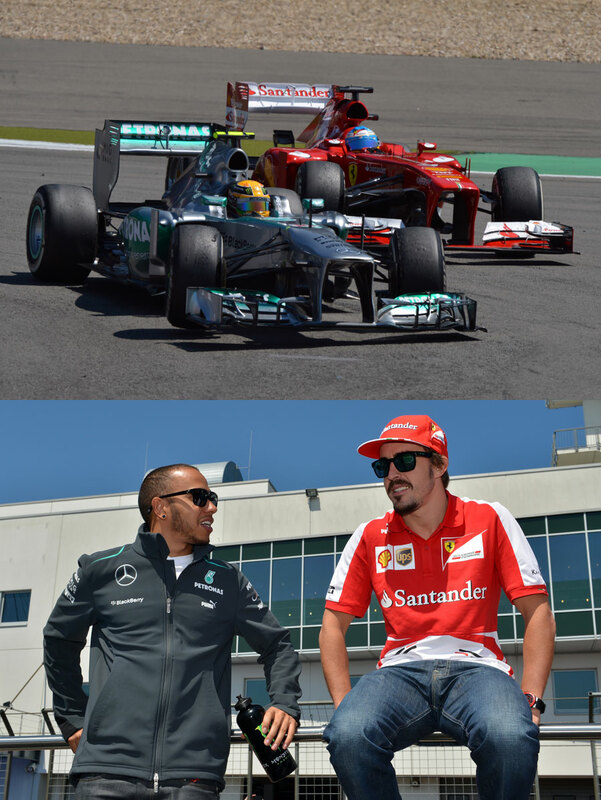 But it was good to see them joking and laughing on the grid. Top image: Camera model: Nikon D4, Exposure time: 1/320s, Aperture: F18, ISO speed: 400, Lens: 24-70mm Zoom. My friend Liam Cunningham, an actor from Ireland, brought Sam Worthington of Avatar fame with him to Hungary to get a taste of Formula One. He said he might see me on the grid and so I kept an eye out and Sam was there but not Liam. This other guy started filming on his iPhone, I didn’t know who he was, but turned out it was German actor Marcus Prosser, who has been in quite a lot of films and he started filming me. Sam is an Aussie and I wanted to get a picture of him with Mark Webber, but Mark had gone for his toilet break! So this picture with his grid girl had to do because that’s as close as we got to the picture. Camera model: Nikon D4, Exposure time: 1/640s, Aperture: F13, ISO speed: 400, Lens: 24-70mm Zoom. 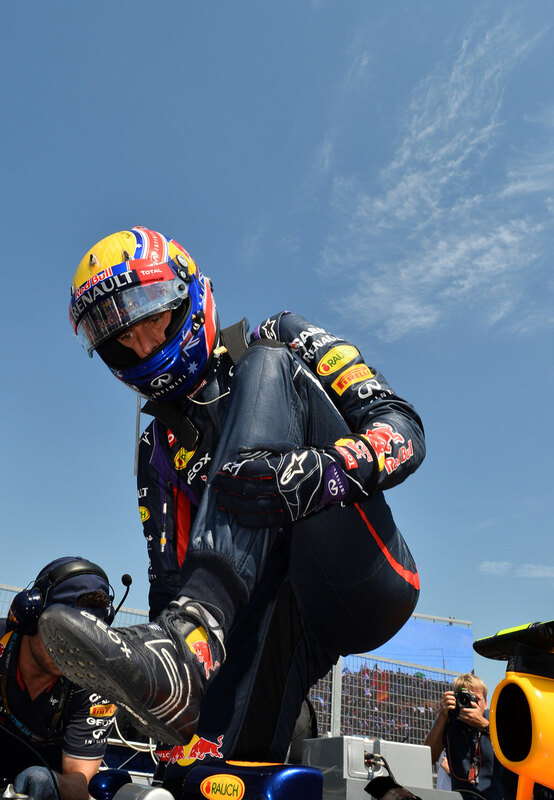 This is an unusual picture because it’s rare that you can get that close to a Red Bull. They are always so secretive and he actually came quite late to the grid on Sunday. I just held my camera out below him as he stepped out and it’s one of those that is hit or miss. This one came off well because you have the beautiful blue sky and the flash has worked really well and lit his face nicely. 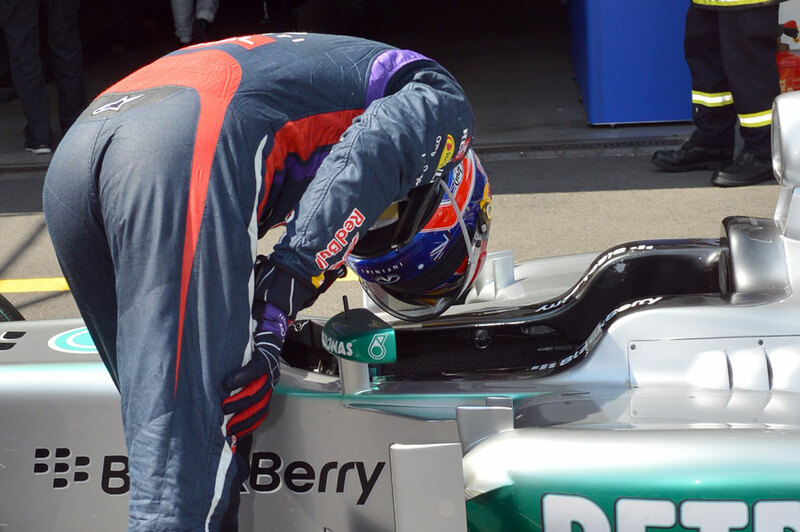 He’s stepping out of the car but it’s a significant shot because he’s also stepping out of F1 at the end of the year. Camera model: Nikon D4, Exposure time: 1/1600s, Aperture: F6.3, ISO speed: 200, Lens: 500mm Telephoto. This is a slightly different parc ferme shot to usual but it gives you an idea of how many photographers are there shooting from behind the railings. They’ve all got different lenses, taking different shots and then you can also see the mechanic there displaying the emotions of the team. 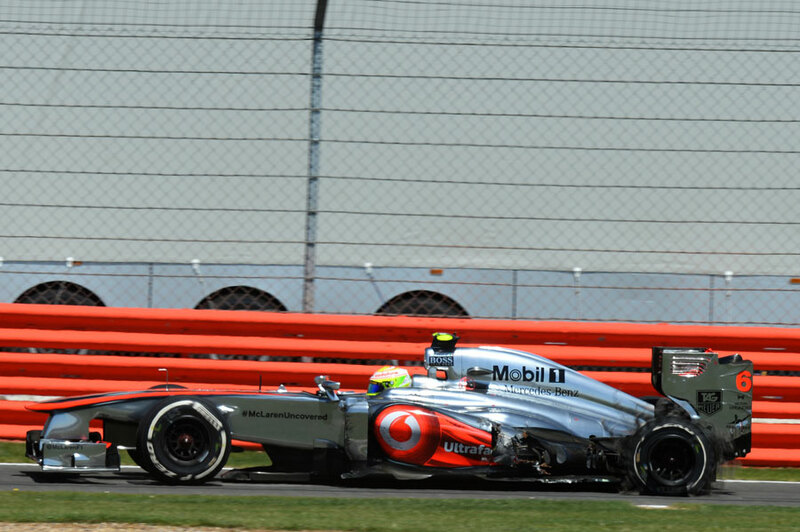 The other nice element of this shot is that the sun is reflecting back off the silver car and lighting his body. 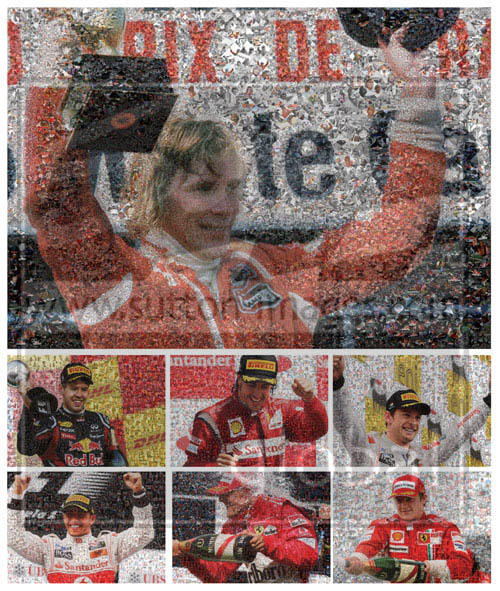 It gives a sense of the atmosphere immediately after the race and offers something a it different. Camera model: Nikon D4, Exposure time: 1/1600s, Aperture: F10, ISO speed: 200, Lens: 500mm telephoto Felipe Massa spun off at turn one on lap four and quite a lot of the photographers there had actually left by then. I was following the cars coming into the corner over the brow and then Massa just lost it without even touching the kerb. 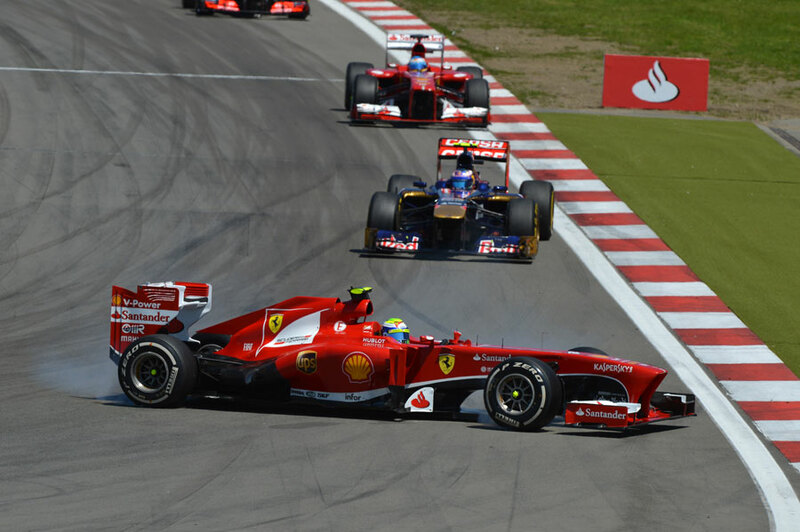 He then stalled it when the car stuck in fifth gear as he tried to rejoin and that was the end of his race. It was a real rookie error, like your typical learner driver tank slapper. He lost it one way and tried to get it back the other way but overcompensated. I’ve done it a few times when I’ve been on skid pans! Camera model: Nikon D4, Exposure time: 1/1000s, Aperture: F8, ISO speed: 400, Lens: 24-70mm zoom The crowd weren’t very happy on Friday with the wet weather but we did get some action at the end of the first session. I’d been in the pits and I went up to the first corner to do a pan shot on the inside of the first corner and I just heard this screech and there was Esteban Gutierrez coming into the corner completely sideways. 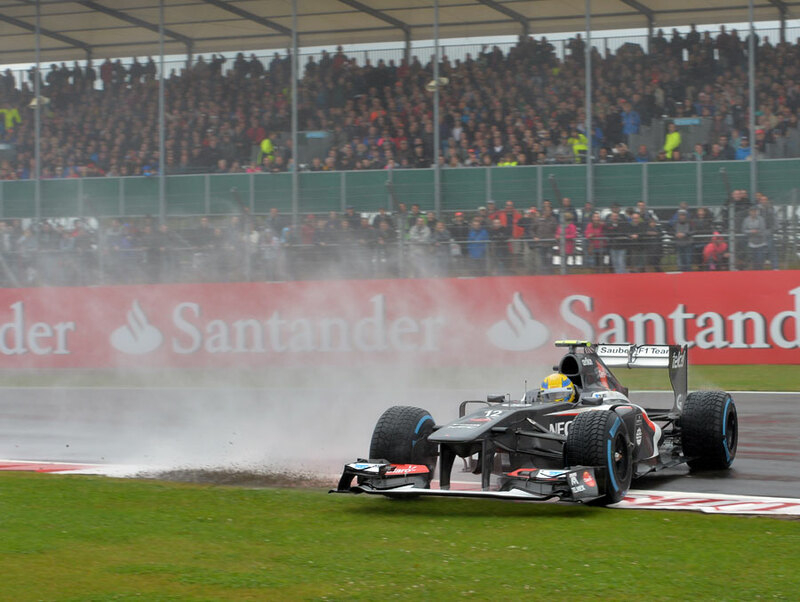 I just panned through and got a sequence of him right over the kerbs. Amazingly he managed to gather it all back together and get it pointing in the right direction on the exit, which is impressive as he must have been doing about 120mph. So impressive car control from him and impressive camera control from me! Camera model: Nikon D4, Exposure time: 1/1600s, Aperture: F8, ISO speed: 400, Lens: 800mm telephoto I was using an 800mm lens this weekend from Nikon. Usually my longest lens is a 500mm or 600mm but they lent it to me to test. It’s very light for what it is but its €14,000 to buy! It’s not cheap. It allowed me to get these shots with the sky as they came over the brow at Becketts corner. It’s a nice shot because you have grass, a thin ribbon of track, the top of the grandstand and then just sky. There are not many places in Silverstone where you can get that. 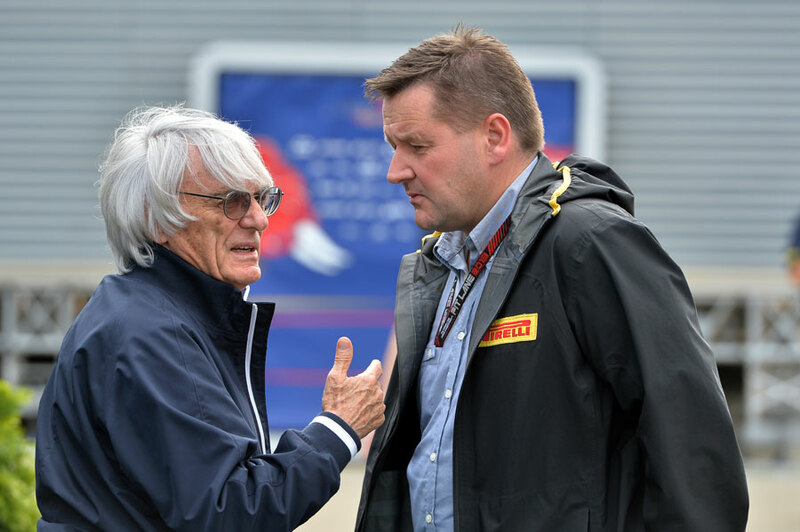 Camera model: Nikon D4, Exposure time: 1/1000s, Aperture: F5.6, ISO speed: 500, Lens: 70-200mm zoom I took this picture of Bernie Ecclestone and Paul Hembery outside Bernie’s motorhome on Saturday. Obviously it’s got a bit of a story behind it and I think they were probably discussing the Sergio Perez incident during final practice. I pounced on it and I thought it was quite a good shot as Bernie is talking to him while scanning the paddock to see who else is around. Paul looks a bit nervous, but obviously I didn’t know at the time that the tyres were going to cause more havoc on Sunday. Camera model: Nikon D4, Exposure time: 1/640s, Aperture: F10, ISO speed: 200, Lens: 600mm telephoto I was sort of in the wrong place in the race because I didn’t get any of the tyre explosions, but you can only shoot from where you are. I did manage to get this photo of Sergio Perez returning to the pits and it’s incredible to see how much damage the tyre has done to the back of the car. When the tyre comes apart it flicks against the bodywork and it completely tears the carbon fibre apart. So you can see why Perez retired when you see this damage. Camera model: Nikon D4, Exposure time: 1/1600s, Aperture: F6.3, ISO speed: 200, Lens: 500mm telephoto Sebastian Vettel retired with gearbox issues at the end of the race and that obviously created a great battle at the end between Nico Rosberg and Mark Webber. This is a good shot because you’ve got the safety car sign in the background, which was also quite significant for the race because it brought the pack together and allowed some people to change tyres. 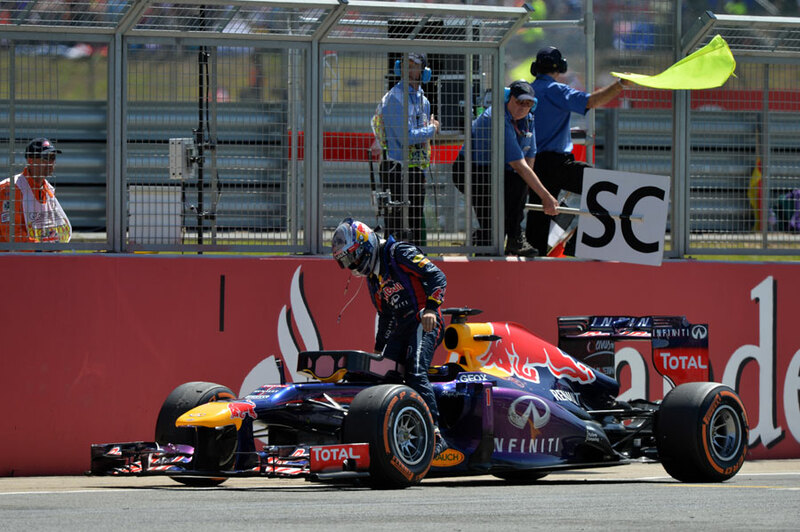 It could also be a significant photo for the championship if Vettel has a few more problems over the upcoming races. 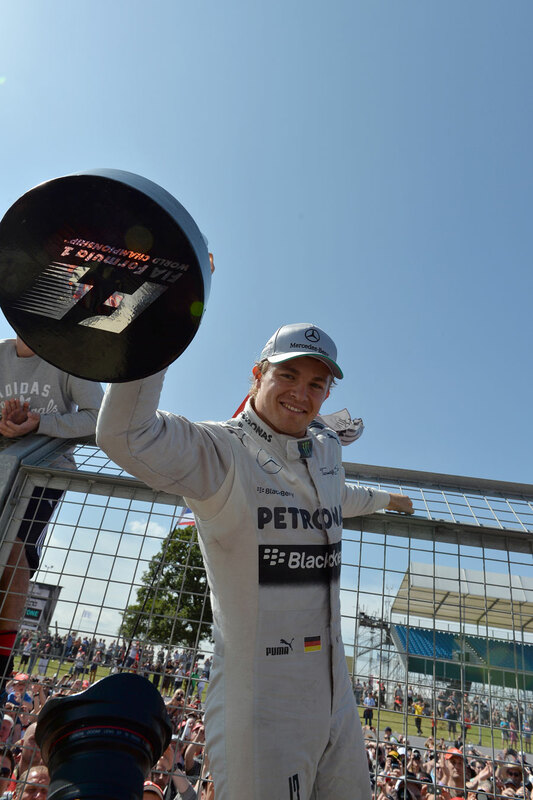 Camera model: Nikon D4, Exposure time: 1/800s, Aperture: F11, ISO speed: 200, Lens: 24-70mm zoom This is a nice photo because Nico Rosberg is looking right at me with the winner’s trophy in his hand and the crowd behind him. When he went on the fence facing the crowd it’s a bit of a nothing picture so we were all shouting at him to turn around and give us this photo. He’s good value for money, Nico, and he’s obviously enjoying his time at Mercedes. Two wins in the last three races is impressive and if he keeps consistent he will soon move further up the drivers’ standings.